Ruth is delighted to have a band of loyal and supportive owners. If you would like to join this great group of people, please email Ruth to discuss the opportunities. 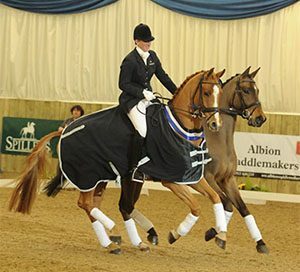 “We have known Ruth for many years and have had many horses with her. Our horses have all gone so well, always looked fit and well and were turned out immaculately. Her groundwork is second to none and they (and us) have had the greatest fun. She is probably the most hard working person we have ever met. Her horses always come first and nothing is too much trouble. 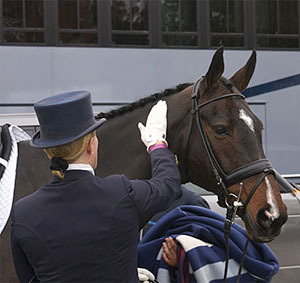 “If you want your eventer to maximise on its dressage score…. Ruth is your person. “Ruth’s attention to detail is first class. She ensures that my horse has the best nutrition, dressage and strength training and we always have a plan which suits both Ruth, myself and Freddie. “When I took Freddie to Ruth it was with a goal and Ruth has achieved the steps to achieving that goal 100% of the time”.